If it’s always been your dream to decorate your home like a swanky nightclub, then this furniture by Moree is for you. Designed for versatility, Moree furniture works both indoors and out. The Bubble (pictured above) can be paired with a glass top and used as a table, or with a felt cushion for seating. 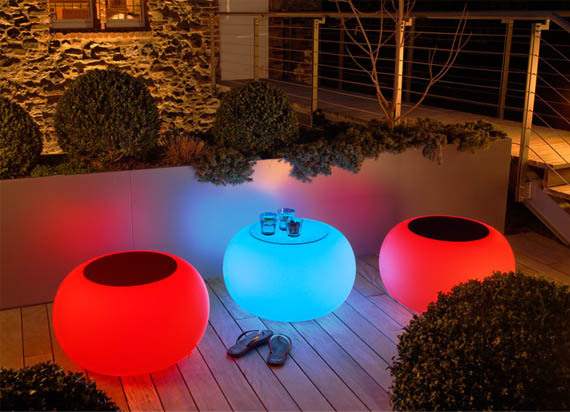 Available in a variety of colors and styles, Moree LED furniture can be used as a bright accent or to illuminate an entire space. They also carry LED planters that make a great way to light up your front entrance or add some soft lighting to your living room.